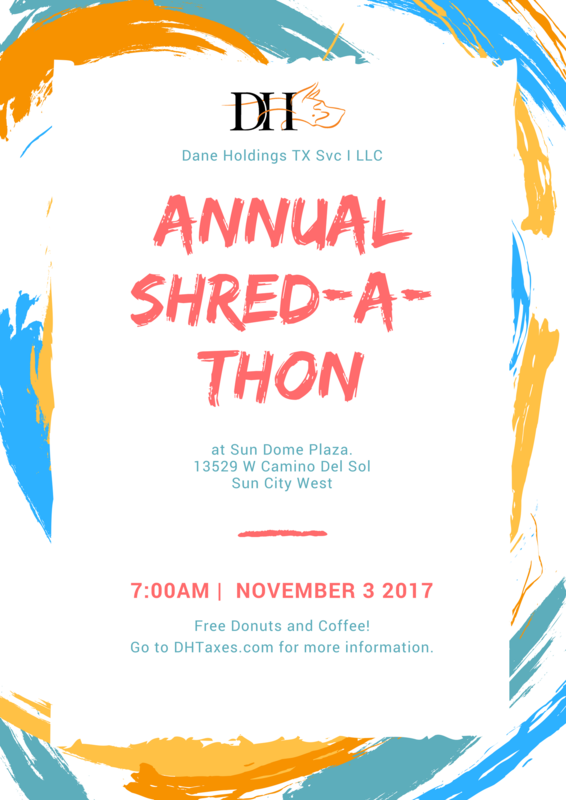 Dane Holdings TX SVC I LLC hosts it’s annual shredathon at the Sun Dome Plaza in Sun City West. Dane Holdings will shred your unwanted documents for free. Yes that’s right for FREE. Individuals are invited to come out and have their documents shredded for free while enjoying free donuts and coffee. Call 623-825-3173 for more info.